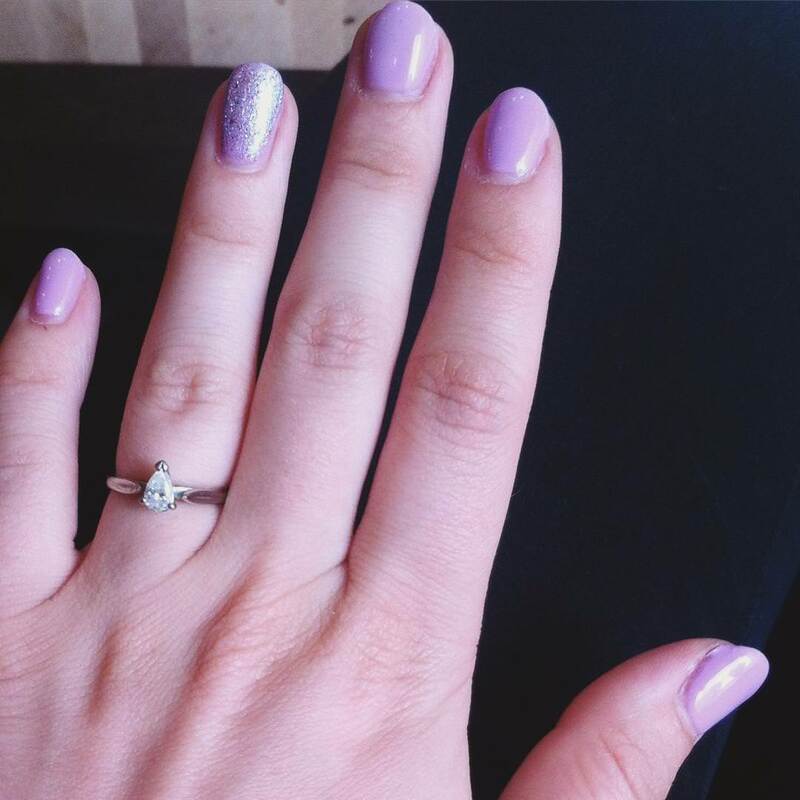 Pear shaped engagement rings are fancied by many brides lately due to their elegance masked in their simple and beautiful shape. 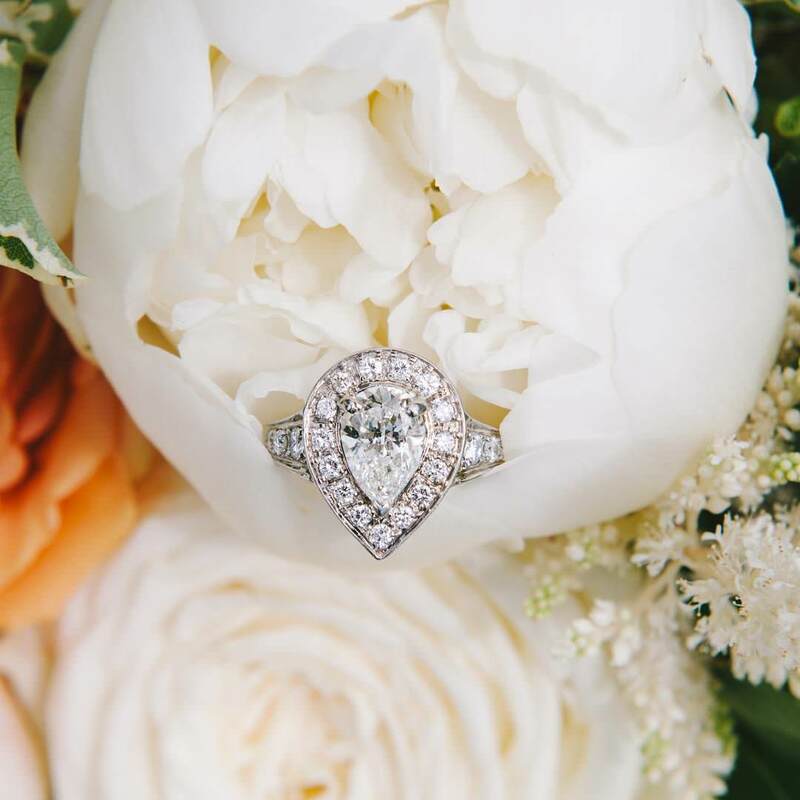 The pear cut is also referred as teardrop cut. 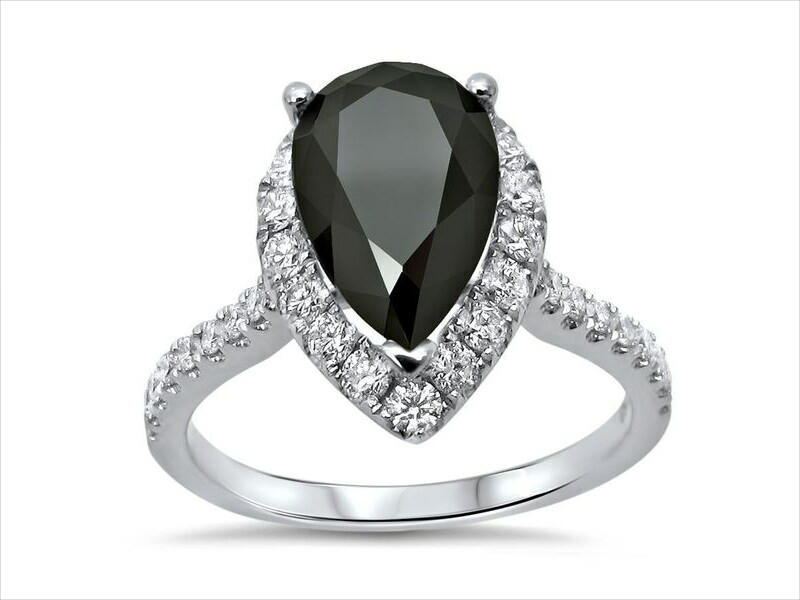 The sophisticated teardrop cut radiates feminine and graceful style. 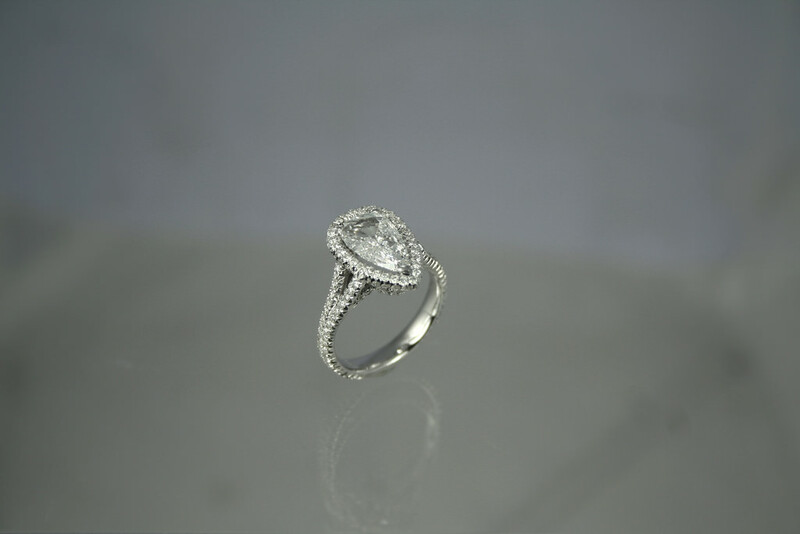 Inspired by oval and marquise cut, it has a sharp end and a rounded other end. 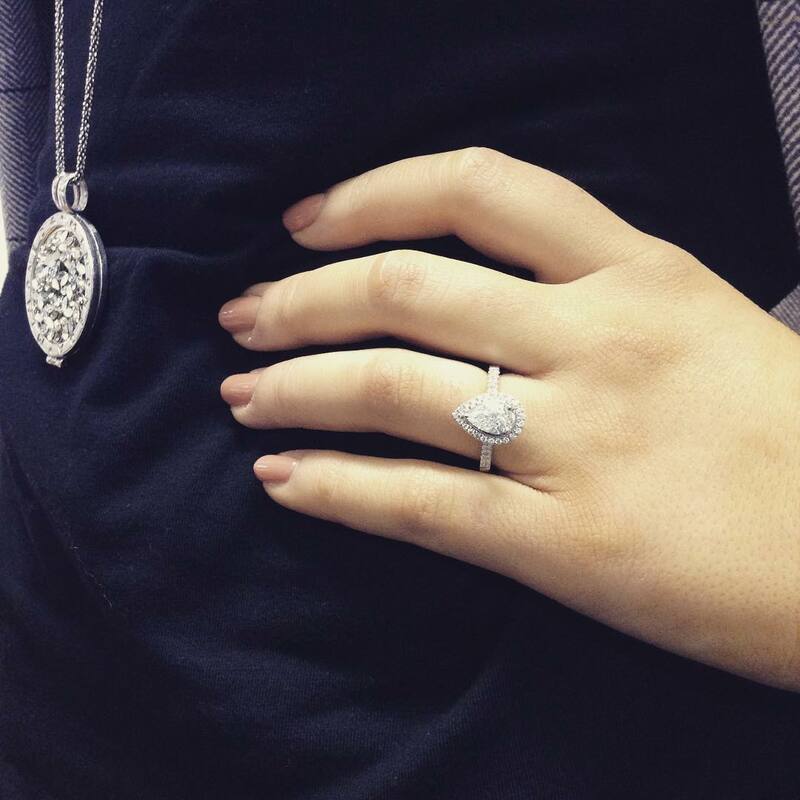 The history of pear shape dates back to 15th century AD. 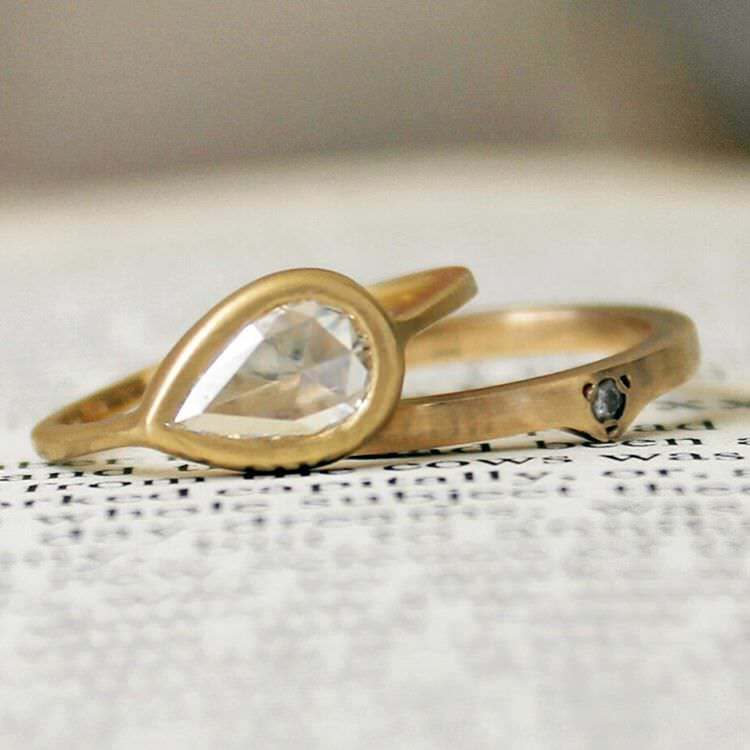 The father of the pear-shaped cut was Flemish cutter Lodewyk van Berquem. 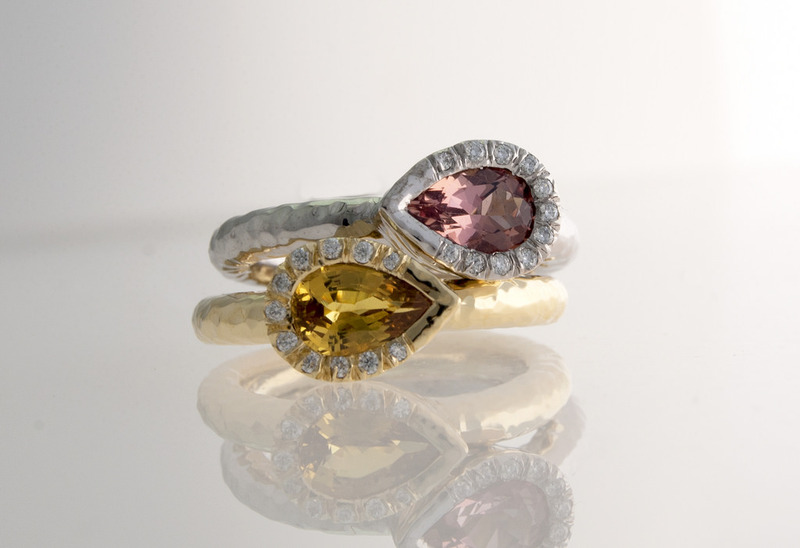 Around the 17th century, Mazarin cut was practiced, and the Peruzzi or old mine cut in 18th century. 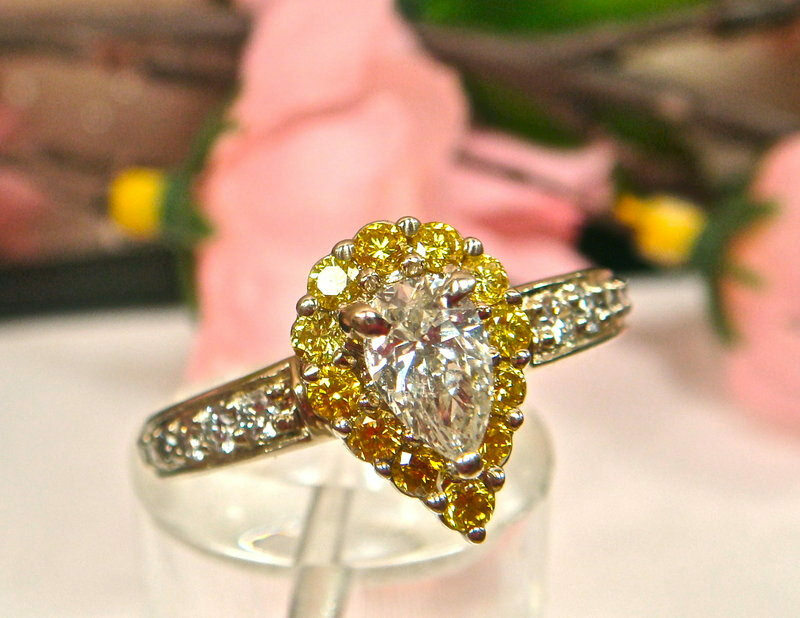 The modern pear cut came into picture in 19th century. 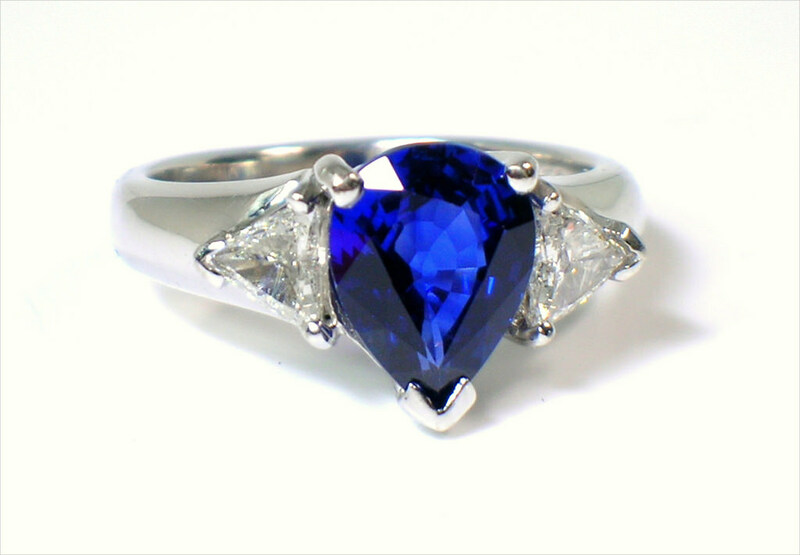 Pear shaped rings were not very famous due to the loss of amount of stone and the bow tie effect, especially when used on diamonds. 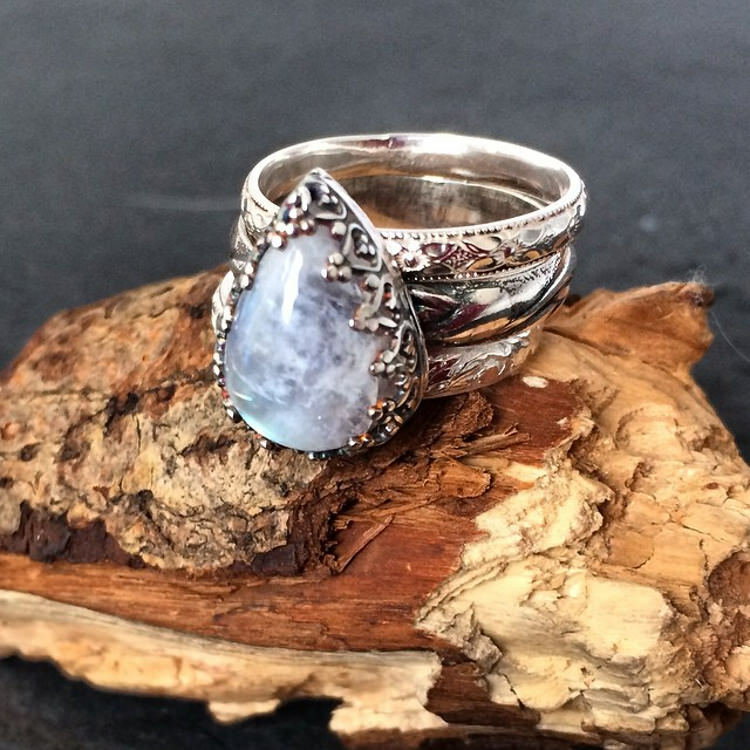 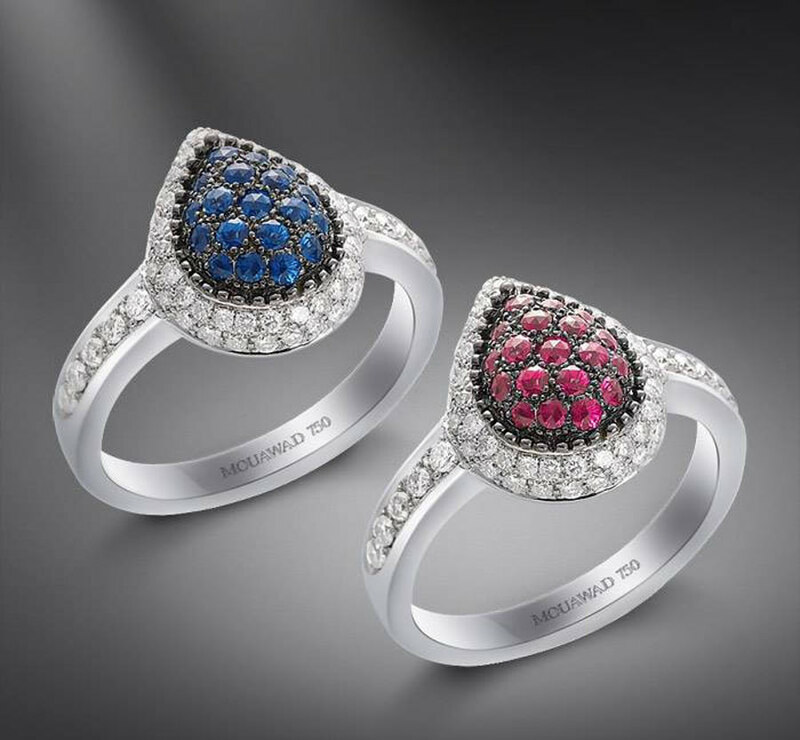 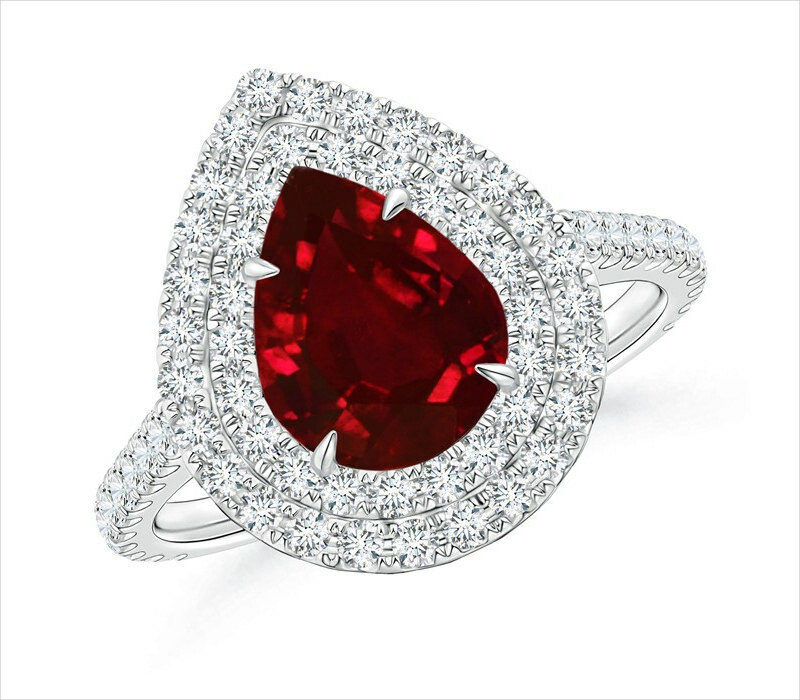 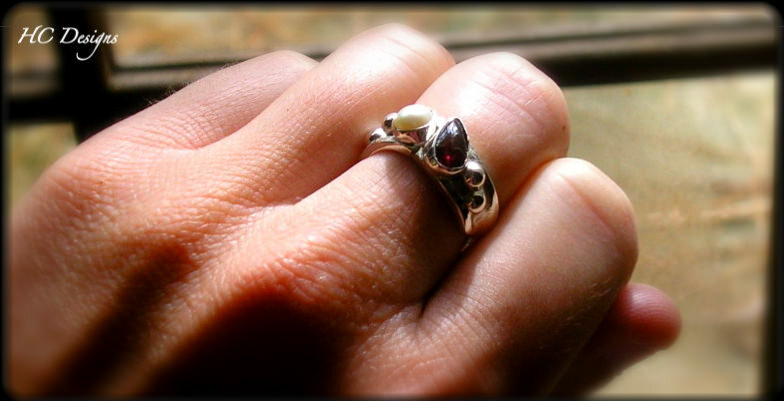 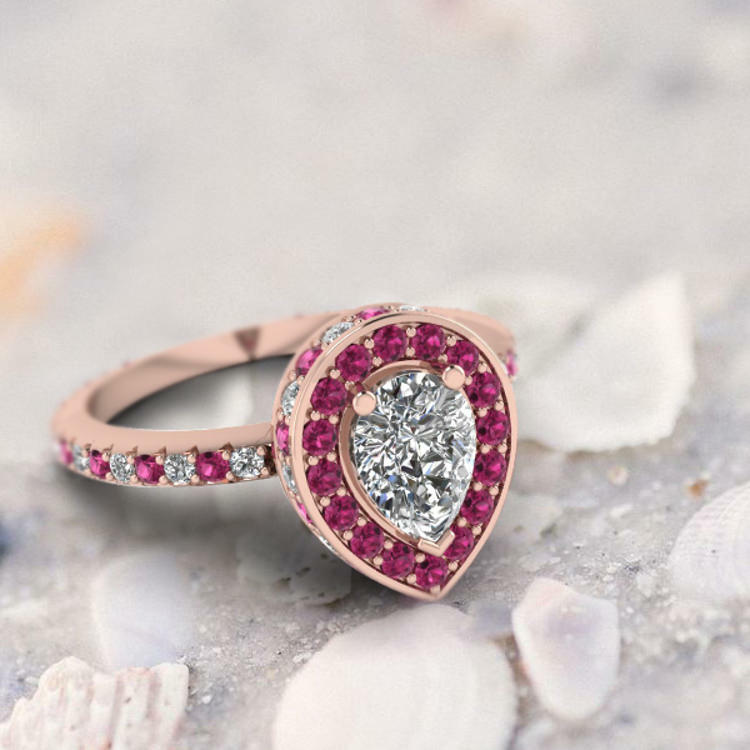 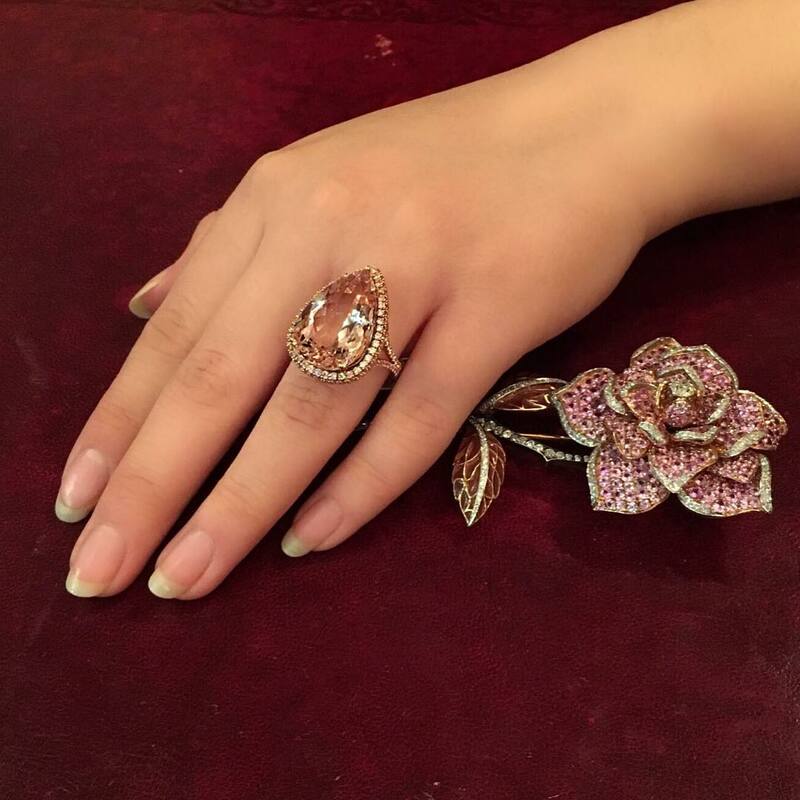 However, the popularity of the pear shaped rings increased lately because of its unique and simple yet modern design which maybe complimented with a halo. 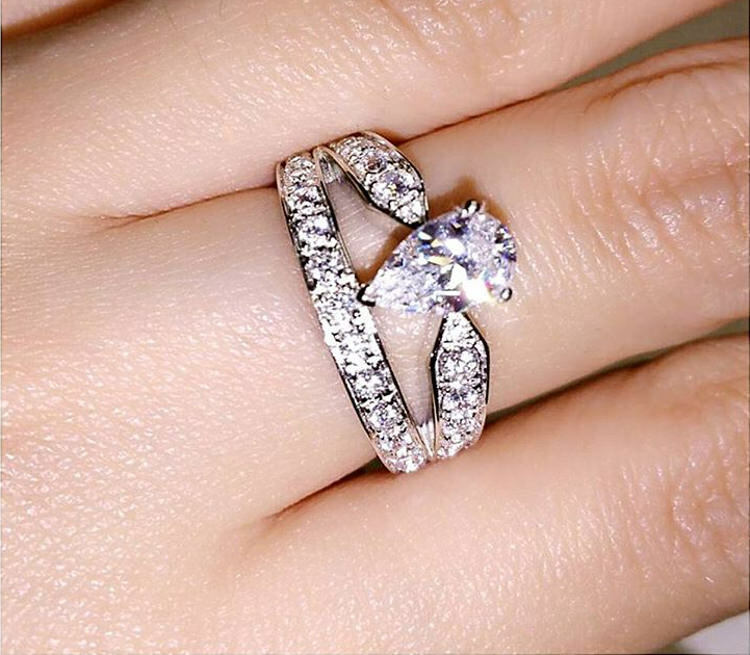 Most of the diamond cutters choose pear shape to bring out the beauty of the few unique diamonds, unique shape for unique stones. 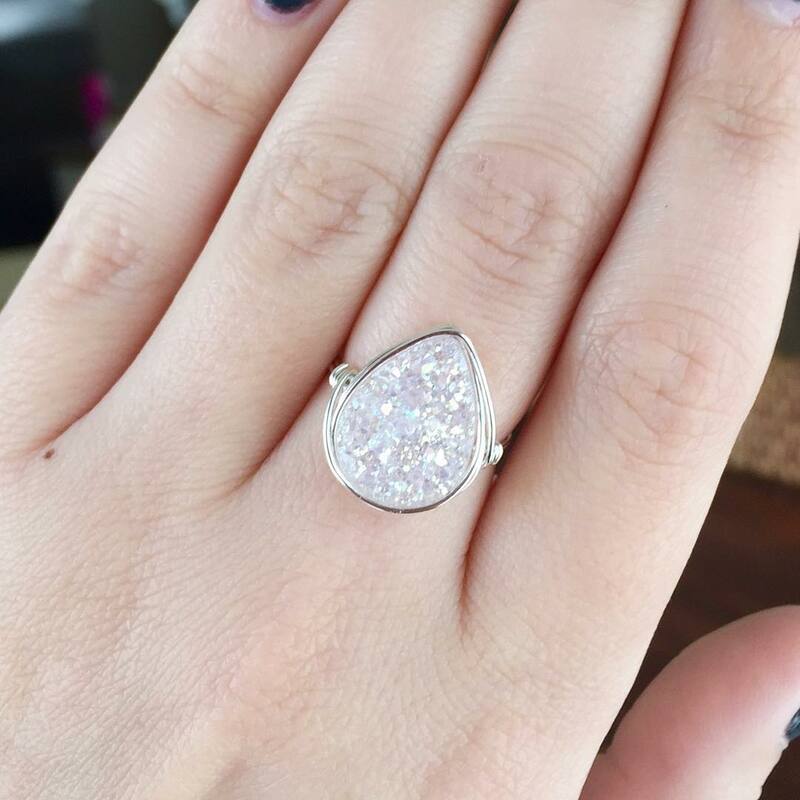 The pear shape has crawled up to the top 10 list of most sought after stone cuts. 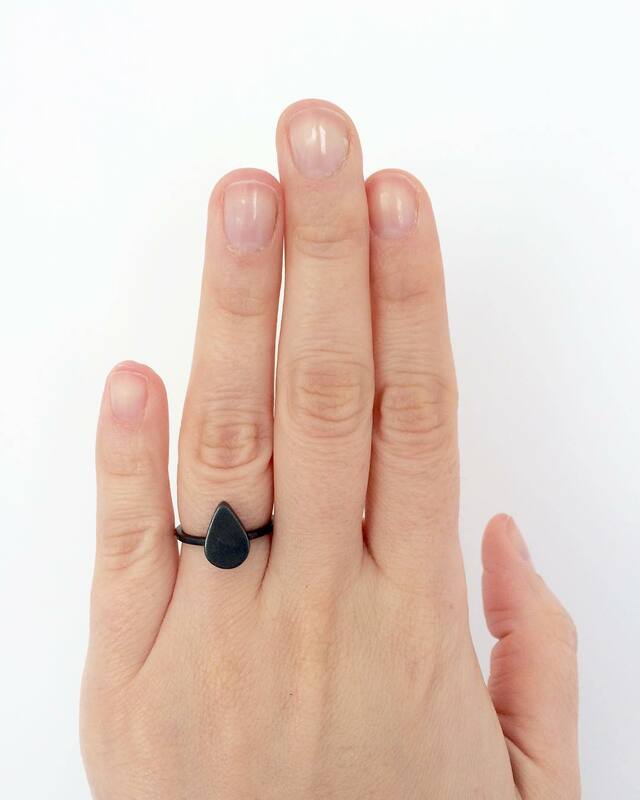 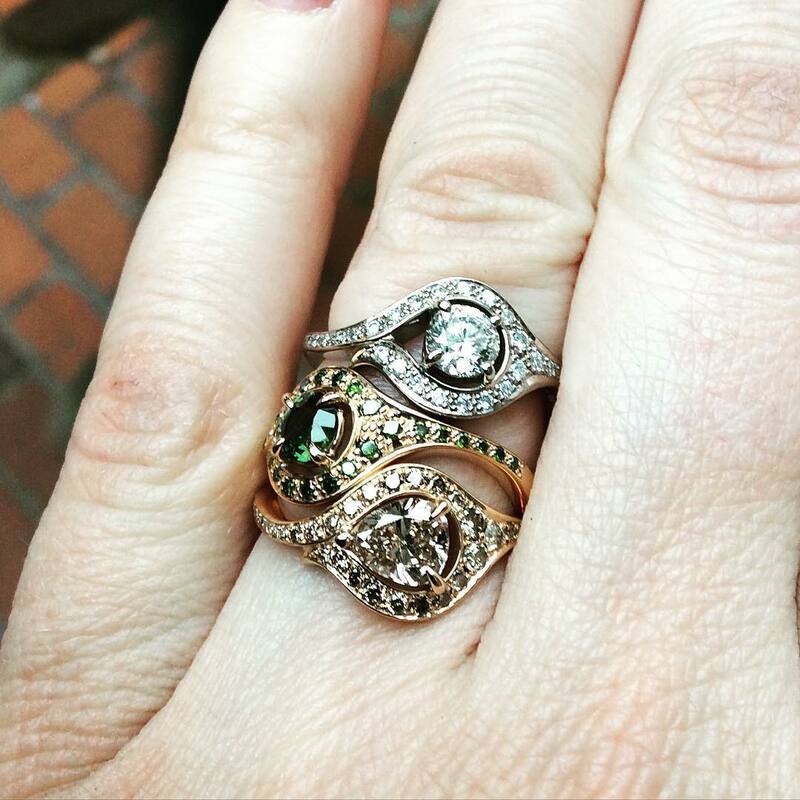 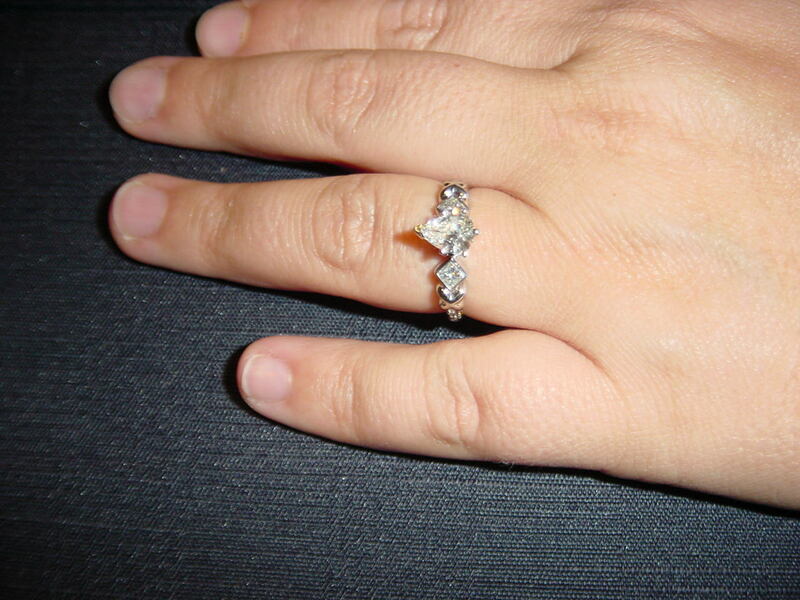 A pear shape would be perfect for hands with smaller fingers. 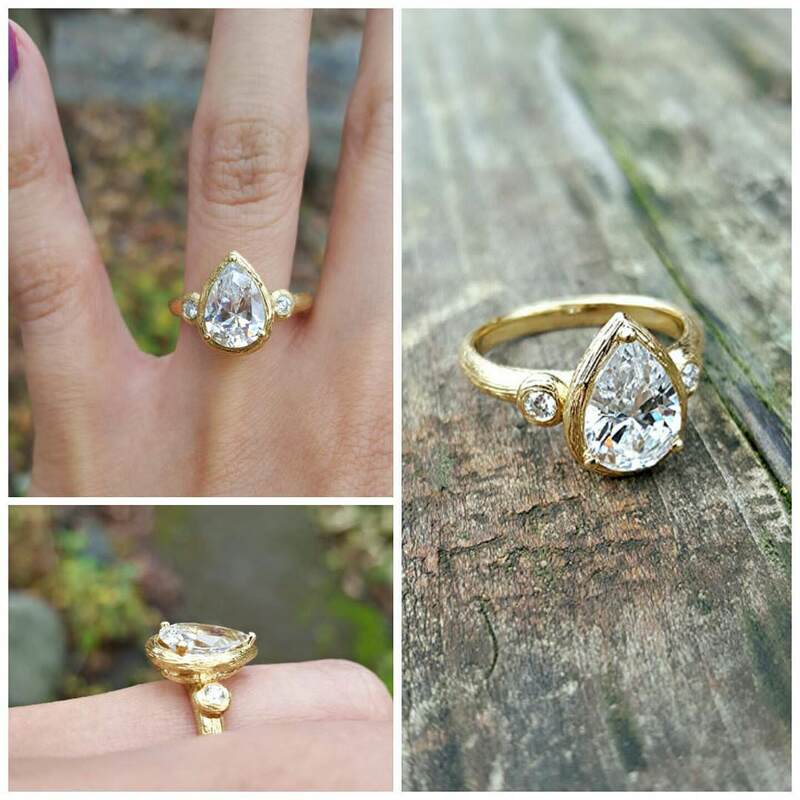 Pear cut along with oval and marquise makes the fingers look longer. 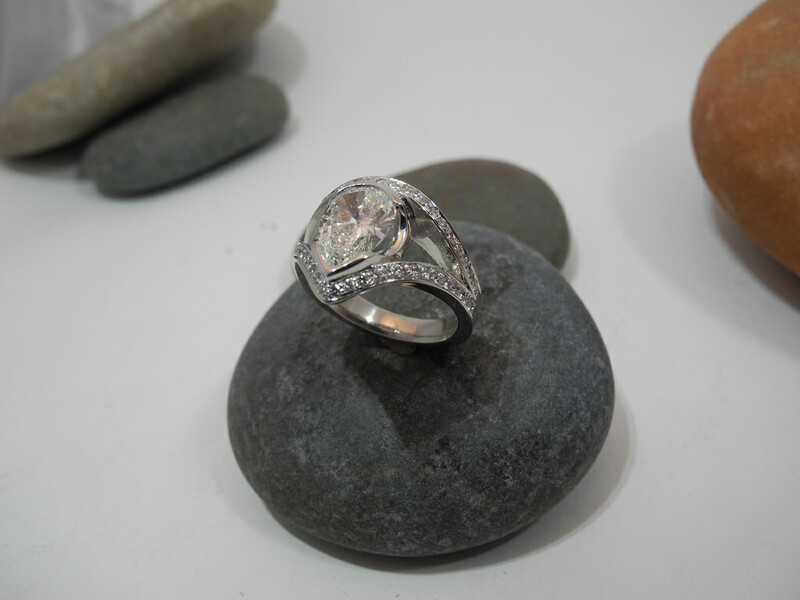 A princess cut or round stones flatter longer fingers, any cut with wider bands will suit wide and thick fingers. 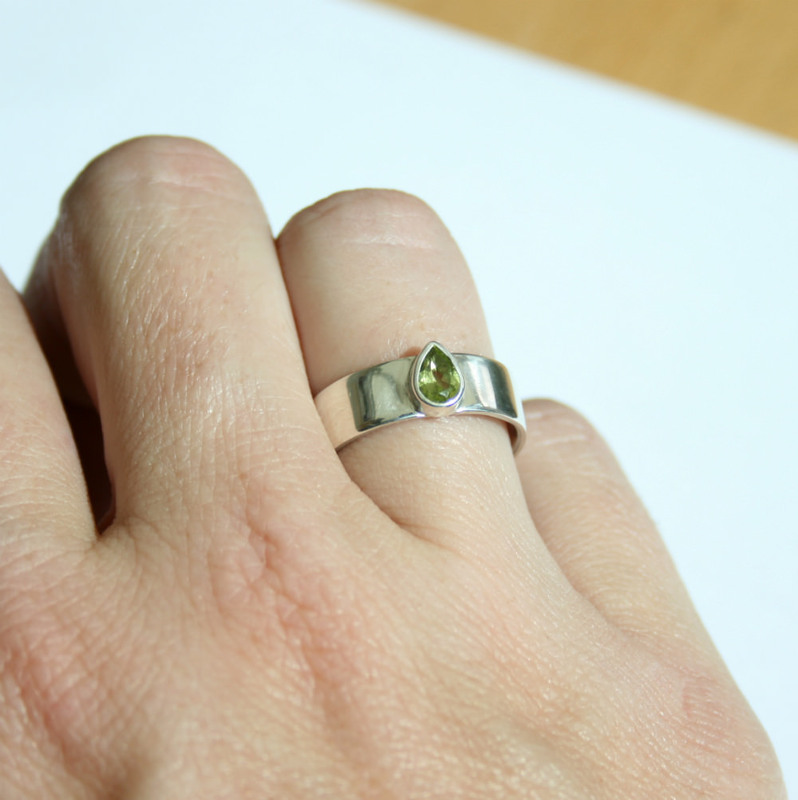 A smaller band will look good on slender fingers.A pear cut sports head turning timeless elegance, but bewares of the short and stubby ones which steal the beauty and elegance of the shape. 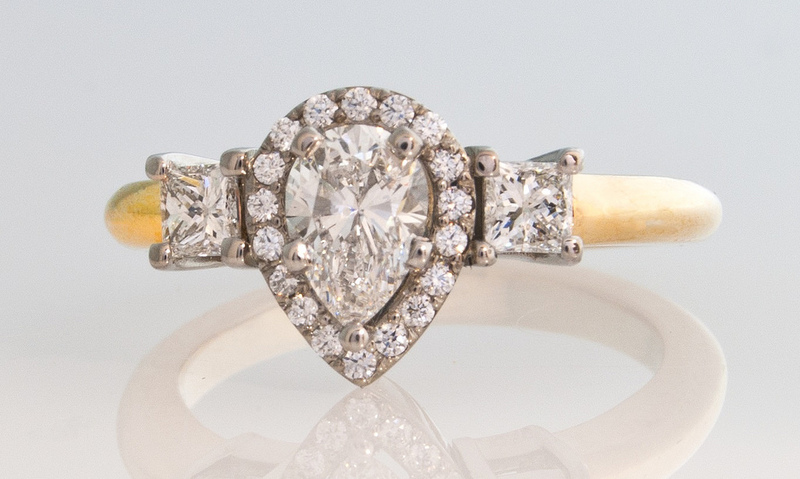 A brilliant classic pear cut beauty is a very rare find which requires patience and vigilance.